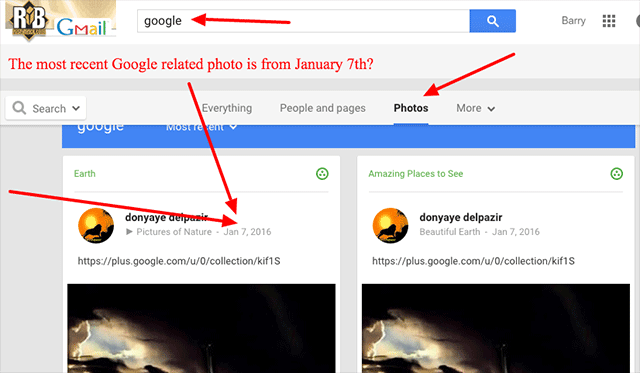 Google+ Search, at least searching for photos within Google+, has stopped working. Try it yourself, search for [flowers], [snow] or anything, filter it by "most recent" and the most recent photo you will see matching any query is from January 7th. I suspect this might have to do with Google changing how Google+ works with collections back in November 2015. But it did not stop working until January 7th. There seems to be no way to find photos within the community outside of just searching for posts containing the keyword, which is okay but shows way more content.